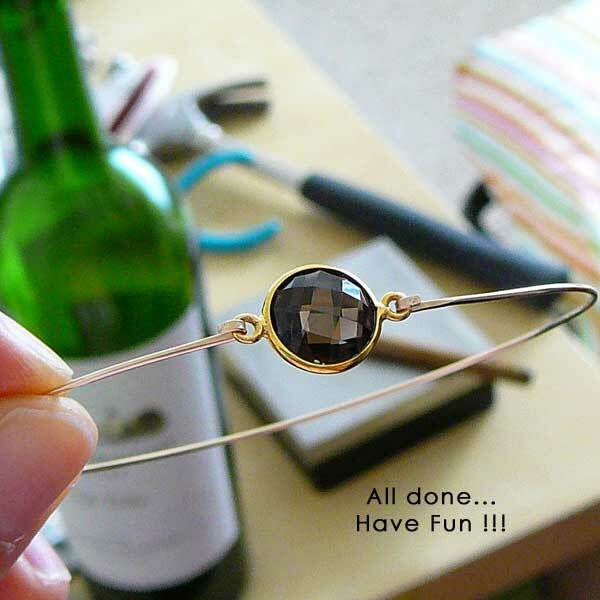 How to make bezel stone bangle bracelet. 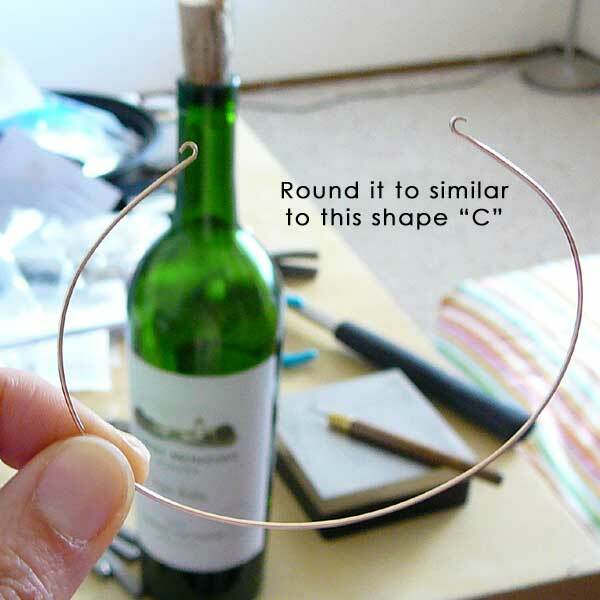 - Bezel stone connector, any size. 1. 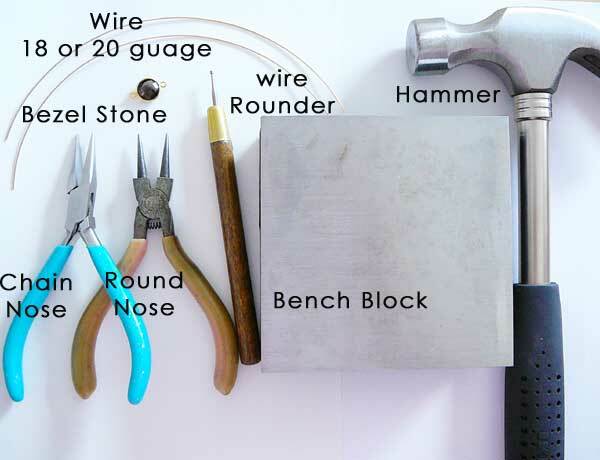 Cut the wire to the length that you want. 2. 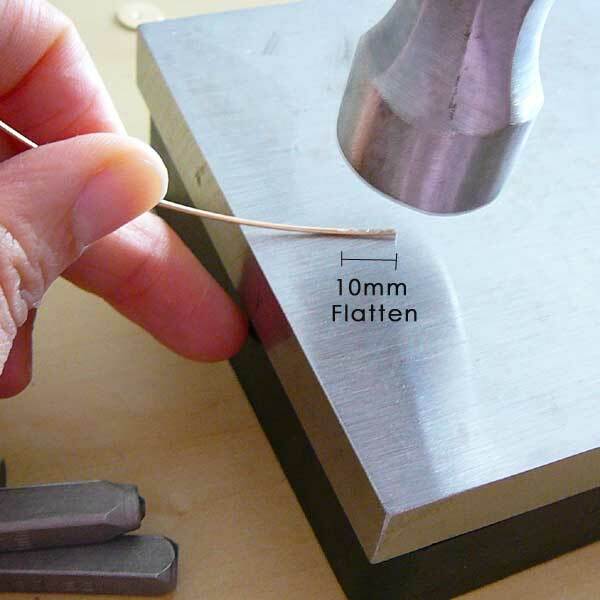 Hammer flat about 10mm on both end of the wire. 3. 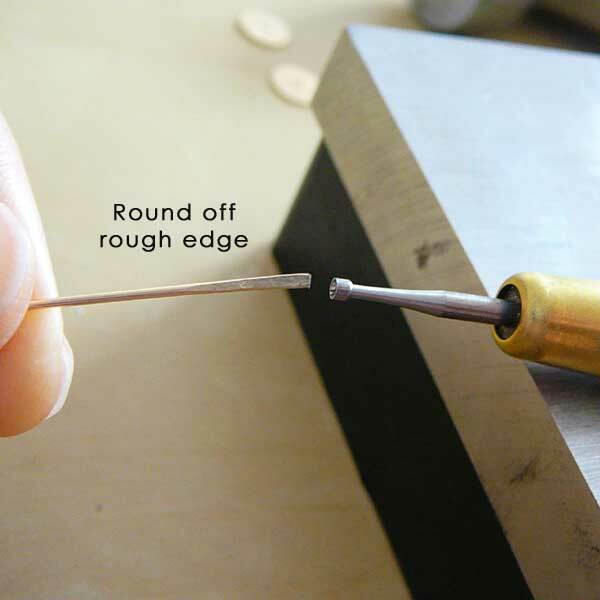 Use a wire rounder tool, smooth away rough edge. 4. 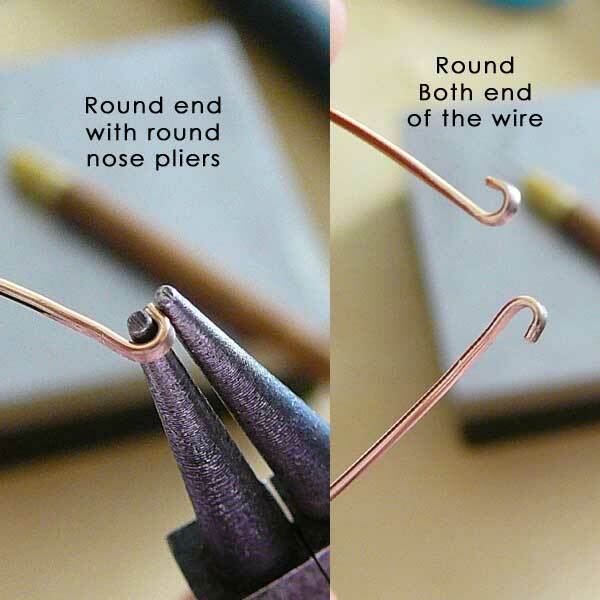 Use a round nose pliers, round both end of the wire to a hook. 5. 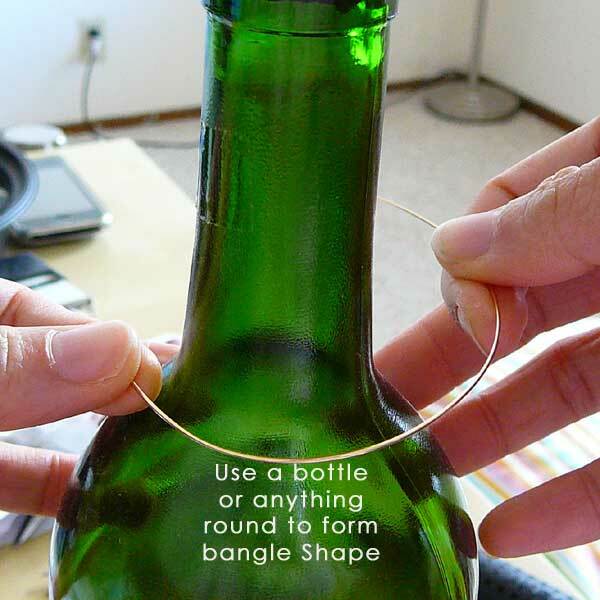 Use a wine bottle, cup, or anything that is cylinder round that you can use to form the bangle shape. 6. 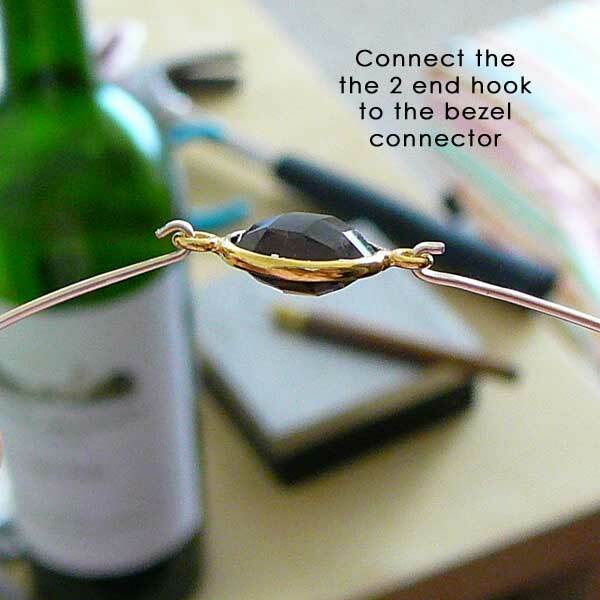 Connect the 2 end with the bezel connector. 7. 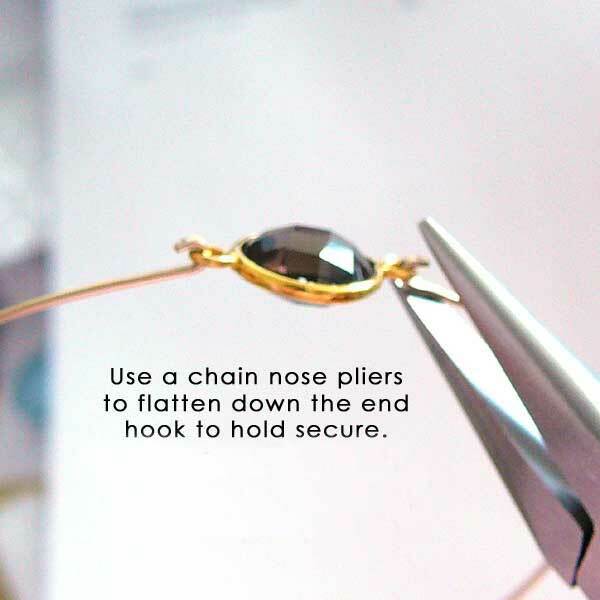 Use a chain nose pliers, close the the hook to hold the bezel in place. Can u use gf wite for this design? 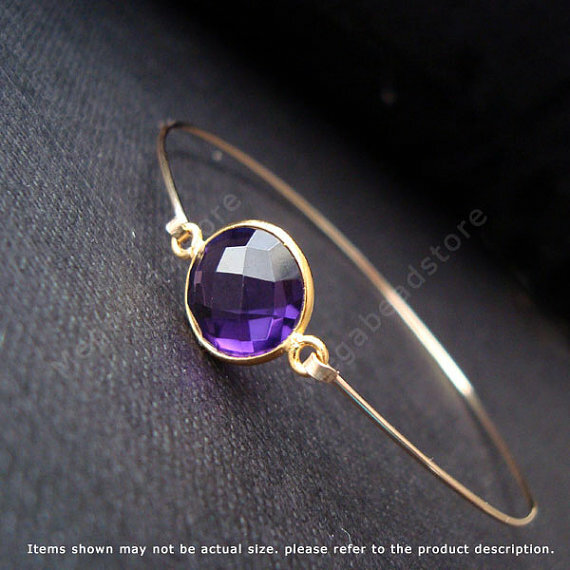 Also any suggestions for making the bangle more wrist shaped?